Pain Management or Opiate Addiction? 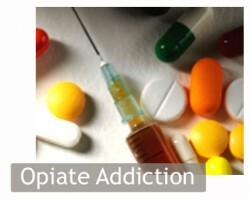 Home › Blog › Pain Management or Opiate Addiction? When you are prescribed pain medications by a doctor, it’s difficult to fathom that you may become addicted. Many times, those who are legitimately prescribed pain medication tend to overlook their own abuse of the drug thinking that they are simply controlling their pain. Unfortunately, pain relief is often the leading cause of a much bigger problem known as opiate addiction. How do you know that your pain management is still just that and not an addiction to opiates? Or, if you are prescribed opiates for pain management, how do you prevent the side effects, tolerance and withdrawal symptoms that appear as a result of using these drugs and how can you keep these effects from compromising the effectiveness of the drug? Opiates are highly effective at managing pain in certain conditions and situations but when prescribed in the wrong instance or taken incorrectly, there is an increased risk that the patient taking the opiates will develop an addiction to the drugs. The National Institute on Drug Abuse suggests that the majority of patients who are prescribed opiates for debilitating emotional and physical pain can take the medications without any major risk of developing an addiction. So what makes some of us become addicted and others not? There are certain risk factors that will increase the odds of an opiate addiction occurring after the medication is prescribed for pain management. Veterans who suffer from PTSD or other co-occurring mental health disorders are at an increased risk of becoming addicted to opiates when they take these medications to manage chronic pain. Those who have a family history of addiction, who suffer from mental illness or who suffer from other forms of substance abuse are also at risk. Each of these treatments can be effective at helping you to control pain, learn how to cope with it or may even reduce the pain all together. Opiates are not the only answer to pain management and for some, especially those at risk of becoming addicted, opiates should not be the answer at all. Getting pain under control without becoming addicted to drugs is the primary concern and should be at the forefront of any treatment regimen. No patient should suffer from under-treated pain, but no patient should have to fear addiction as a result of receiving legitimate pain treatment from their doctor. Opiate addiction is a dangerous condition that can often be prevented with education, support and adequate care.